Summertime means construction and lots of action on our regional trails; here’s the latest scoop! 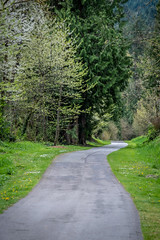 King County Parks will close a short stretch of the Cedar River Trail for one day on September 4 to perform routine maintenance on a bridge near Fred V Habenicht Rotary Park near the intersection of Witte Road SE and SE 221st St in Maple Valley. There will be no detour route. If you’ve been on the Burke-Gilman Trail recently, you may have noticed the shiny new mural in the Wayne Tunnel that passes underneath 96th Ave NE 96th in Bothell. Working with volunteers over the course of two weeks in early July, artist Kristen Ramirez’s colorful design makes use of the walls and ceiling of 250 foot-long tunnel for a beautiful effect. Click here for photos and here for more on the artist and project. 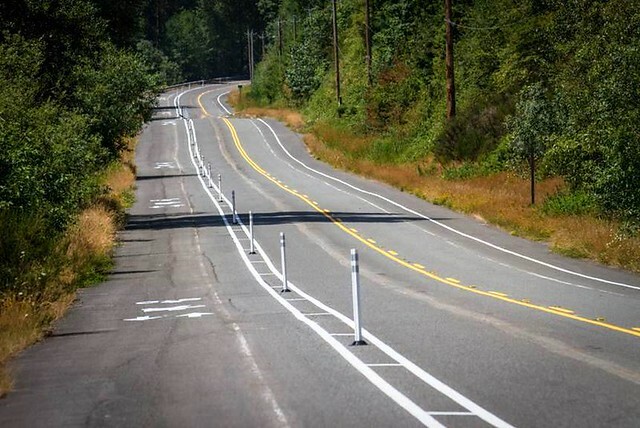 Utilizing the road right-of-way, King County Parks just added a .7-mile-long cycle track along High Point Way to close a gap in the Regional Trails System and connect the Issaquah-Preston Trail to the Preston-Snoqualmie Trail. This protected corridor separates pedestrians and cyclists from vehicle traffic, improving safety for everyone. Click here for photos. Noticed those colorful random pianos along the Burke-Gilman or Sammamish River Trails? Now through August 17, Pianos in the Parks is a special summer happening in parks and on trails through Seattle and King County. Visitors are encouraged to sit down and play a tune – submit your video and be entered to win the opening gig at KEXP’s Concerts at the Mural on August 22! For more information, visit pianosintheparks.com.